Whether you are planning a family get together for the 4th of July or staying at home. I have some ideas how to make it a fun and memorable 4th with items from Oriental Trading! We live in the country and our yard is always full of neighborhood kids, so this 4th of July we are going to have a kid friendly get together where they can play, eat and enjoy the fireworks! Since it is always hot on the 4th, it is time to get wet and wild with some fun water toys! Growing up we had a water slide and it was a blast! I was excited to see one for sale on Oriental Trading! It is perfect for the kids to burn energy and have fun on a hot day! Celebrate the season in style when you add this Double Water Slide to your party activities. It's a classic, and makes a splash with kids and adults alike! While some kids are sliding, why not have the other kids do a water fight. Oriental trading has tons of water guns, just check out this Fire Power Super Soaking Fire Hose With Back Pack. How cool is that, it shoots water over 35 feet with one pump of the hose! With over 50 pumps per fill up, the tank holds a liter of water. Perfect for a fun night! Games are a must, while kids are waiting for the fireworks to go off. So pickup some Mini Flashlight Key Chains from Oriental Trading. Just add batteries and you are ready for some outdoor fun! Kids will love playing Ghosts in the Graveyard to past the time! 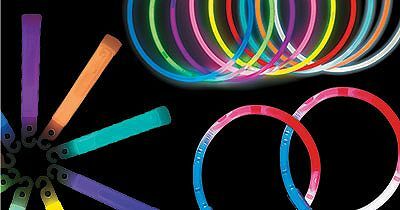 Another must for the 4th is glow sticks and necklaces. Even when you leave home and head to the city to watch fireworks, vendors peddle expensive glow products. Save some money and purchase glow products ahead of time. Perfect for home, while out and about and more. Kids and adults will glimmer and glow when they wear these bright rope necklaces, bracelets or glow sticks around their neck. These are also a great way to keep and eye on the kids when your youngsters play in the yard after dark! Need more party ideas (recipes, games, crafts and more)? Then head over here and see all that Oriental Trading has to offer! They are the go-to shop for summer fun!